Following a warm walk up to the convention center we sat down to a Vermont Pancake Breakfast (sponsored by the VT Cheese Council) with made to order pancakes and VT maple syrup “shots” on the table. We sat with a pair of guys from The Loan Grazer Creamery in Minneapolis, MF (yes! right in the City) and talked string cheese. The keynote speaker for the conference was Mark Canlis is a Seattle restaurateur who is NOT a cheese maker (one of the first points he made) but who wanted us to step back from the “rules” of food and cheese making and take a look at the concept and history of “hospitality.” Canlis believes passionately that he is in the business of relationships and trust and that it’s important for all of us to ask us AND our employees “Who are you becoming?” and “Who do you want to become?” And it’s only through this kind of awareness of our true goals that we can succeed in business and in life. In the midst of his talk he staged a Rock-Paper-Scissors tournament that illustrated the power of support and positive belief in Others (which ties into the history of Hospitality) for both you that other person. My first session was an exploration of European Tradition vs. American Innovation” specifically around Alpine-style cheeses from Switzerland and their American mimics. It was NOT an attempt to criticize either effort (hard-core traditional methods vs. creative adaptation) but to illustrate how each affects the qualities of the cheese in different mostly positive ways. Jonathan Richardson of Columbia Cheese in New York City presented two of the cheese he imports from Switzerland to sell in the US as coming form opposite ends of the European tradition of cheesemaking. The Greyere 1655 he started with was an example of an extremely consistent style that has won medals in Europe for the cheese maker’s ability to replicate it’s own characteristics across multiple (months and years) of batches. The cheese that we tasted was very light and milky, almost fresh with a pleasant grassy finish. Richmond explained how the production of all types of Gruyere is very small scale (the average number of milking cows in a herd is 20), and that it’s the cooperative of dairy farmers who own the cheese facility and its production. Typically these farmers are paid more for their Gruyere milk than they would otherwise be paid for simple “fluid milk” which creates an incentive for those farmers to make milk of the highest quality. Then Richardson contrasted that with Challerhocker, an Appenzeller *type* of alpine style cheese that is made with “fattier” milk than the typical Appenzeller. There is currently a single cheese maker responsible for Challerhocker (which has a very soft texture and butterscotch/peanut butter tones with an additional acidic tang), and he has deviated from the traditional Appenzeller recipe in several other ways. In the current system of marketing Swiss-made cheeses this cheese has no guaranteed market (as Gruyere and Appenzeller do) and therefore the cheese maker is responsible for marketing as well as making the cheese. This can be a boon at times (having a recognized “brand”) as well as a burden (more subject to currency fluctuations in the Swiss Franc than other Society sold cheeses). Richardson introduced us all to a new cheese term: VOLLMUNDIG! This is a Swiss German quality of cheese (and perhaps other food?) that is ‘mouth-filling, complex, and deeply satisfying.’ He made a point that historically the Swiss would eat ‘Swiss Cheese’ morning, noon, and night when there was nothing else to eat in the dead of their Alpine winter, so foods that were not strong and not extreme but that gently offered deep layers of pleasure were prized to help prevent a monotony of appetite from setting in. Next, Jeanne Carpenter from the Artisan Cheese Exchange in Wisconsin walked us through the development of a new American version of an Olde World cheese from Roelli Cheese called Little Mountain. Fourth generation cheesemaker Chris Roelli uses many of the traditional techniques including developing a native culture and calf rennet, but then puts his own twist on this limited run cheese to make it his own. It has won several awards now since being introduced to the market a few years ago. Then Zoe Brickly, an affineur from the Cellars at Jasper Hill Farm, explained how this newest of the Jasper Hill Farm cheeses was created and continues to be developed now called Alpha Tolmen. Essentially, in order for JHF to acheive the flavors and textures they were looking for in this style of cheese they started by creating a dedicated source of milk, buying a dairy farm with its herd and asking it’s owners to dedicate themselves to producing exactly the type of milk that JHF wanted for this cheese, which would be different from the milk they needed for their other cheeses. One of their first discoveries was that the baleage that had been fed to this herd over the winter was introducing too many microbes into the wheels causing them to puff and blow later in the aging. Most of us know that baleage allows farmers in cooler and wetter climates to easily put away the forage material they will need through the winter, however it involves a PRObiotic process of some fermentation within the bale wraps, and those microbes were making it into the cheeses at a level that produced too much gas for the solid wheels to tolerate, along with “crazy farty flavors” in the cheese itself. As a result JHF has now built a Hay Drier facility where green bales can be taken pretty quickly off the field and then carefully and consistently dried down in bale form before they are stored. This makes hay production much less weather dependent (normal drying takes four straight dry days; mechanical drying takes 6 hours) and keeps the milk clear of any “farty” factors. MCG alum Louella Hill was signing copies of her new book “Kitchen Creamery” after lunch. I made sure to get there early to be at the head of the line and thank her for making the effort to communicate the joy of cheese making to ALL cheese lovers. According to the first presenter in the Wooden Boards Part 2 session 500,00 TONS of cheese around the world is currently being aged on wood. Leading off, Catherine Donnelly walked through the perspective on wooden boards found in Australia/New Zealand (who are known for *very* strict food safety laws), as well as that in Switzerland that were established after an outbreak of Listeria monocytogenes in Vacheran / Mt. D’Or cheeses in the 1980s. In the first case Dr. Donnelly explained that the AUS/NZ agency responsible for food safety did an extensive study of Roquefort cheese and whether it was possible to allow its sale despite it’s being aged on wood which is against their native food laws. After that study they decided conclusively that the Roquefort production is a *safe food process* and that the use of wood was essential to the character of that cheese. 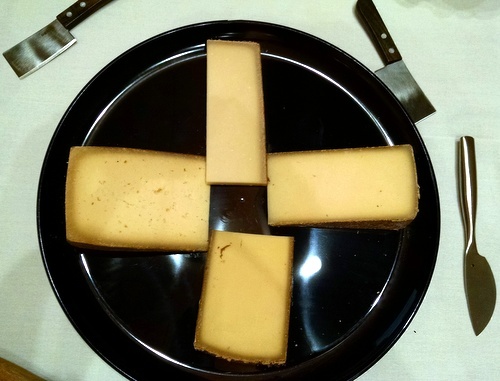 In the second case Dr. Donnelly pointed out that the Swiss government’s approach to the L. monocytogenes outbreak was not “how do we shut down this dangerous cheese production” but “how do we save this cheese that is important in the cultural history of Switzerland. In the course of a five year study they developed an SSOP covering the safe use and maintenance of wooden boards for aging. At no point did they consider banning the use of wooden boards, and since then the use of wooden boards in appropriate circumstances has been legally approved in Switzerland and thus in the EU (based on equivalence agreements). Dr. Donnelly then mentioned that the recent fiasco regarding the FDA’s shifting stance on wooden boards in cheese making has been troubling because it argues that decisions are being made in a non-scientific manner. Her recommendation is that an open and thorough Risk Assessment of wooden boards should be done and let the science determine the resulting rules. That kind of action has not even been broached by the FDA, but she points out that this is where groups like the ACS and others can pressure the FDA in this regard. Marianne Smukowski then spoke for the Wisconsin perspective on the use of wooden boards where currently 33 million tons of cheese are being aged on wooden boards. She is a liaison between the WI Center for Dairy Research, WI cheese makers, and the WI Department of Agriculture regulators. She reported that the Dept. 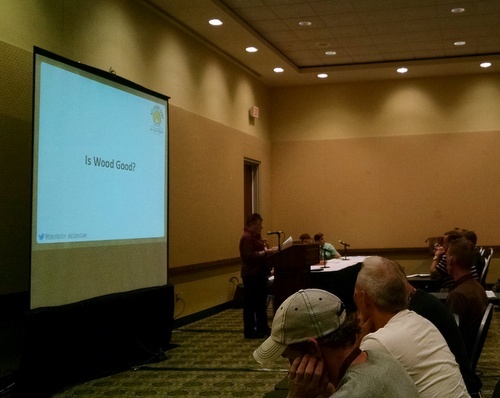 of Ag requires all WI cheese makers to make a written request to allow the use of wooden boards that includes an SSOP for maintenance of the boards, and an argument for what are the desirable characteristics that only wood boards can provide for them, and then they must cite reputable scientific studies that support both their SSOPs and use. Therefore the responsibility for justifying the use of wooden boards is on the producer, and then the Dept. of Ag has to only review and then accept/reject the request. In addition the request, once accepted, will directly guide inspectors of those plants to verify that specific plant’s process, not that every plant implements the exact same SSOP for this aging option. Smukowski also points out that contrary to previous FDA statements about the history (or absence of history) of the legal use of wooden boards for aging cheese, both NY State and Wisconsin departments of agriculture state that they DO NOT OPPOSE the use of wooden boards to cure cheese. Smukowski pointed out that the WI CDR has posted a paper focused on wooden boards that had been published in their “Pipeline” publication in 2013. Finally Valerie Michel from Actalia in France spoke about the French perspective on allowing the use of wooden boards and their own studies to support the idea that it can be done in a safe way. One of the interesting items she initially stated was that spruce was by far the most common wood used for aging, primarily for smear-ripened cheeses. One of their studies took wooden shelves of various ages (up to and over eight years old) from established cheese caves and then used them to test the bio-films that had naturally developed on the wooden boards. They inoculated all the boards with two different Listeria species on normal boards, and boards that were heat sterilized first. They found that the Listeria populations on the regular boards were significantly REDUCED over 12 days of studies, where as the Listeria populations significantly increased on the heat sterilized boards. They came away from the study with the following conclusion: Wooden boards used for aging cheese harbor a bio-film similar to the cheese aged on those boards which has a role in limiting Listeria monocytogenes colonization. 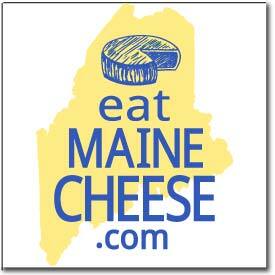 The importance of this bio-film for the normal production of the cheese is significant. During the Q&A after these three presentations someone asked whether the use of other wooden items (specifically molds, vats, and brine barrels) could be “approved” by the states that have approved the use of wood for shelving. Smulkowski said that WI already had approved the use of wooden brine barrels, and that she didn’t see any reason — given the work to justify the use and methods for cleaning — why the other items couldn’t be approved in a similar way. Dr. Donnelly seconded that and Sister Noella had done the work that led the Connecticut Department of Agriculture to approve her use of wooden vats for cheese making. Posted in Events, Guild, Learning and tagged ACS, vollmundig.